Kitchen wall cabinets are the answer to the limited base space that any kitchen has. From being just a storage box high up on the wall, these cabinets have come a long way in making a style statement for the kitchen too. At a first glance, wall cabinets are more prominent than anything else in the kitchen. Hence, getting their placement, dimension and construction is crucial. Nowadays kitchen wall cabinets are readily available and are increasingly being made user friendly in terms of their mounting procedures. However, few tips would still be helpful in choosing cabinets for your kitchen. While choosing your cabinet from the manufacturer, check for the cabinet’s functionality, quality and its durability over time. This would entail studying the cabinet’s construction in terms of the material used (wood, plastic etc.) and joining parts (this is a crucial aspect while fixing the cabinets to the wall – dovetail, dado, doweled joints etc.). Different kinds of screws, nuts, bolts and glues are also used in installing wall kitchen cabinets and should be inspected before purchase for their ease of use while fixing cabinets. Usually kitchen wall cabinets come in standard sizes of 12 to 13 inches in depth and 12-42 inches in height and 9-48 inches in width. The mounting can be adjusted to suit your reach and comfort. In case you need to use cabinets for stacking kitchen tools or stock that would not be used regularly, they can be high mounted and used sparingly. The cabinets come in increments of 3” in width; hence choose the cabinet suited to space in your kitchen. Single door wall cabinets or double door wall cabinets can be chosen from depending on the space and look that you desire for your kitchen. Make it a point to match the base cabinet width with that of your wall cabinet width to get a more consistent look in the kitchen. Mounting kitchen wall cabinets may seem like a tedious task but is not so anymore with neat instructions being given by most manufacturers in their mounting guides. However keeping certain tools ready beforehand can make this task easier. A measuring tape, pencils, drill, chisel, marking compass, stud finder, level, screws and 1”x3” piece of lumber would be a few tools you should keep handy before beginning a cabinet installation. With ready-to-assemble cabinets, instructions to mark accurate dimensions on the wall are usually provided. A point to note is that not all wall materials are the same and hence require different fasteners, which you can choose while trying to install one of your ready-to-assemble cabinets. While there is a huge range of kitchen wall cabinets available in the market, prices are usually determined by the material used in cabinet design, their finish, quality and the warranty. Ready-to-assemble cabinets can be compared based on brands/suppliers. There is ample information online that can be used while comparing prices of cupboards from different suppliers. Also, you can bag a good deal by keeping a check on discounts offered by suppliers during certain times of the year. Do you have a suggestion or comment about kitchen wall cabinets? Please share your thoughts with us by filling in the comment form at the bottom of the page. Kitchen wall cabinets are the answer to the limited base space that any kitchen has. From being just a storage box high up on the wall, these cabinets have come a long way in making a style statement for the kitchen too. 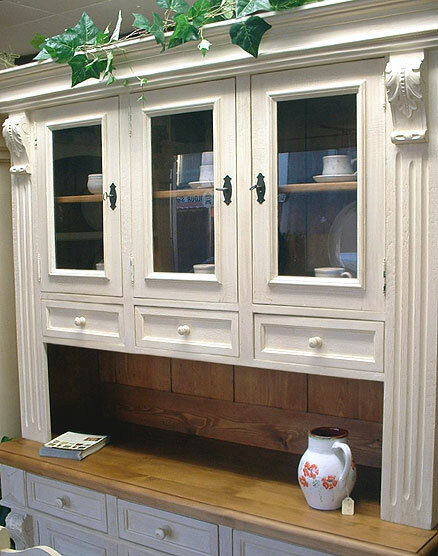 A nice post about kitchen wall cabinets. Thanks!